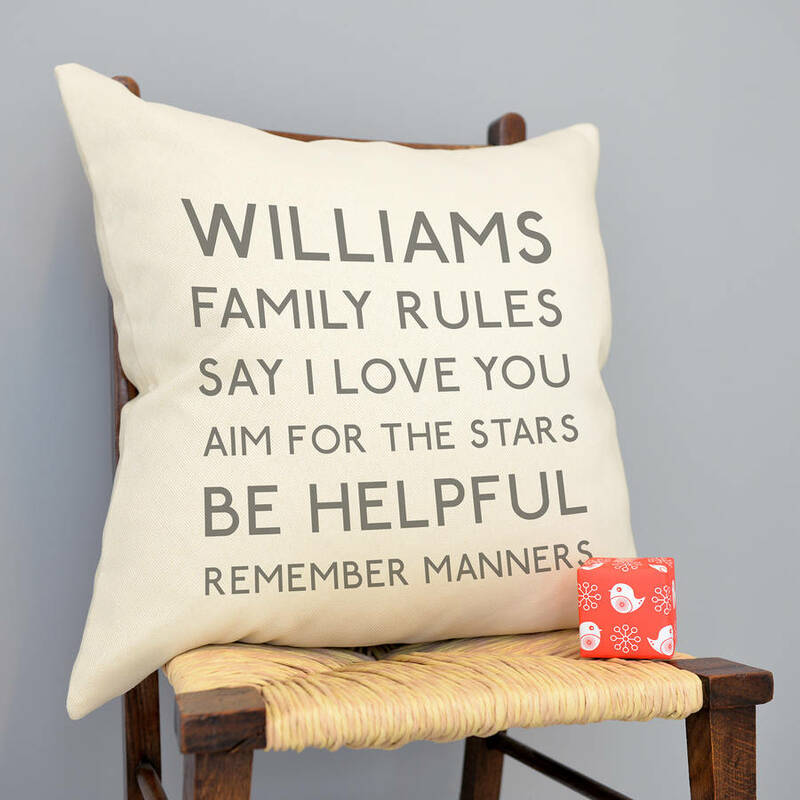 Inject some fun into family rule making with this quirky typograhic cushion. 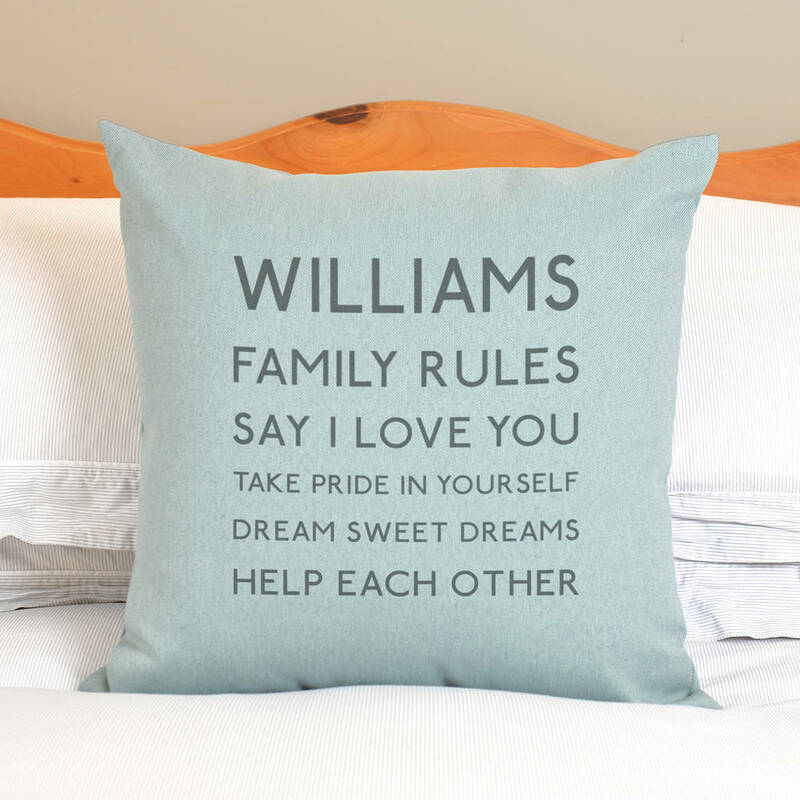 The first line will be your family surname, the second line will be the words "Family Rules" followed by up to 5 lines of your own personalised rules. Maximum of 23 characters per line, including spaces. 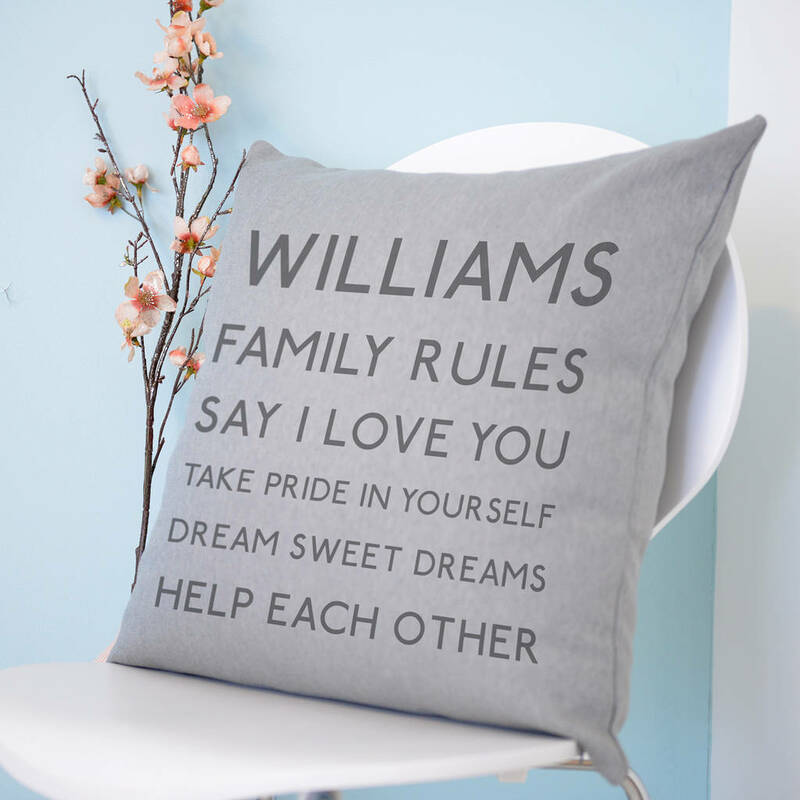 The cushion comes in cream, grey or duck egg blue with grey text, the text is on one side only. All products are sent tracked and will require a signature on delivery. We suggest that your delivery address is a location where someone will be able to sign for your item during normal business hours as we cannot be held liable for items returned to us due to you not being at home when the item is delivered.